After obtaining my first Arduino prototyping board I had to put it to some good use. By brainstorming, reading and drawing inspiration from various sources I came up with the idea of creating a weather desk lamp. 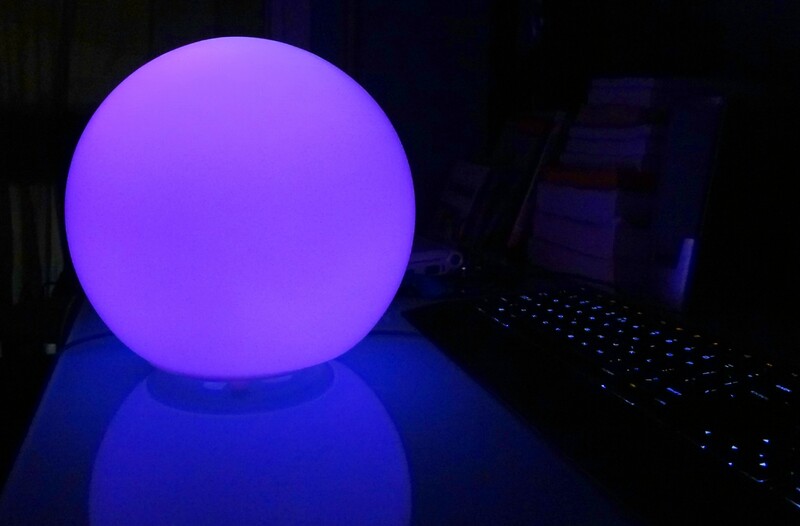 Basically the idea is that it reads weather data from RSS feeds like temperature, wind speed and precipitation and changes accordingly the color and intensity of the light. Also there are modes where you can manually set the RGB values or let it randomly swirl through colors. 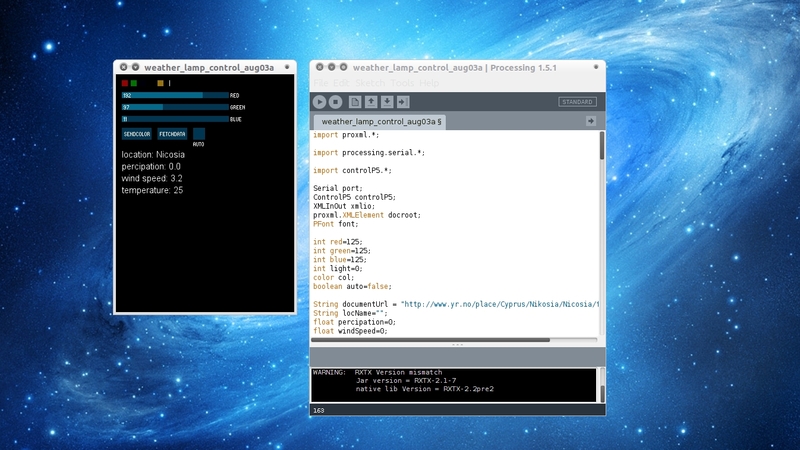 For the task of obtaining and analyzing the weather forecast I created a small Processing program, it strips certain values from the RSS feed, maps them to RGB values and passes them over to the Arduino board. At first I tested the whole thing with three clear LEDs but the colors did’t mix up quite well. So I ordered some Super-flux Piranha RGB LEDs. Really bright little bugger! The only problem was that they are Common-Anode type, with Arduino it meant they had to be implemented in a sort of active-low way. I used PWM to set the color intensity so I had to invert the output values in order for it to work properly again. Finally after a lot of messing around I reached the desired effect and a nice smooth color swirl. So the next step was to make the whole thing a little bit more presentable, so here comes in IKEA. I went there for a walk looking for something that would “ring a bell”, after all I ended up getting a FODO Table lamp to stick the whole thing inside! Hello there, I’m really interested in your weather globe. 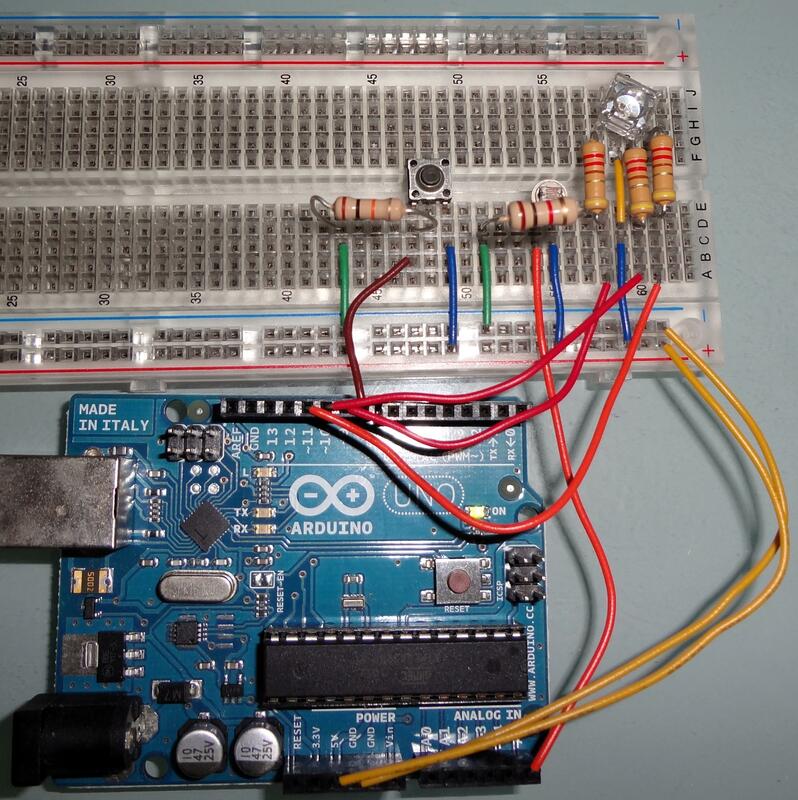 Im a student and I’m working with the Arduino and I was wondering if you followed a tutorial to do this ? Or that you could share the code. Hello Ryan, thank you for your interest! Hi thanks for getting back to me, I appreciate it. Just another question, what resistors are you using? it’s just that I’m colour blind and have trouble distinguishing them. Also is that an LDR next to the resistors I see ? It’s my pleasure! The resistors for LED’s are 220 ohms (depends on how bright you want the LED to be, use higher values to make it dimmer) and for the button I used 1Ok. Yes that’s an LDR, the idea was to turn the light off by day but never got to use it in the “final” build. Sure, I will publish the code in this post later on today. Would love to hear how your presentation goes. Hey again, would it be possible for you to give me the code for the Arduino and Processing. If you can, it would be a massive help. I’m doing this show and tell in a in two weeks and I would love to show a working prototype of this. check out the bottom of the post. the code is a bit old and messy, but should get you started in no time.